Today is the day, folks. April 3, 2012 the NFL and NIKE officially revealed the new NIKE branded products from jackets and gloves to fully fledged uniforms. All 32 NFL team uniforms were dawned at a NIKE Event in New York, NY this morning and boy was it a good one. Over the last few weeks there were some rumors and “leaked” pictures that may or may not have been real. But today all questions were answered. The NFL will begin a beautiful relationship with the superstar company in NIKE, and hopefully there will be a lot of changes for the better. So far, from what was released, these jerseys (and uniforms) look to be changed mostly for production on the field. They’re lighter, thinner, somewhat water resistant, all the while still looking damn good. 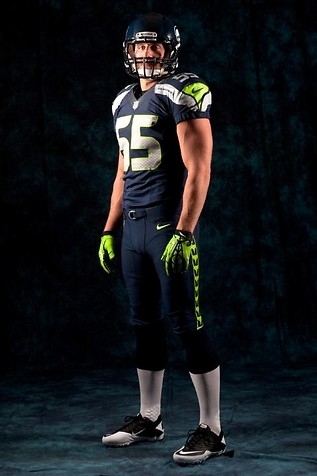 Now, the uniforms relatively look the same, with the exception for the new Seahawks uniform. 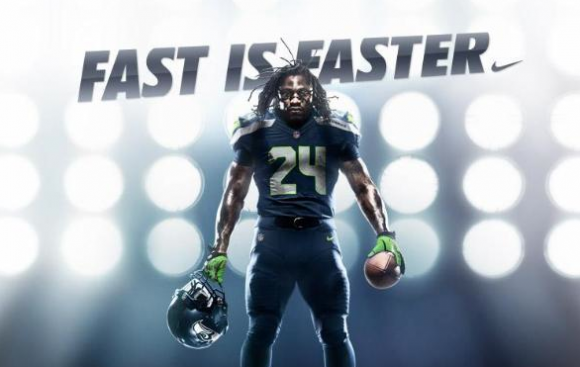 The Seahawks bare some changes that are resembling that of Oregon’s jerseys. At first, (and not as a Seattle fan) I did not like the change. Notably, the ‘Hawks seem to change jerseys more than any team in sports, but now I’m starting to dig the changes. You can have a better look at the new NFL jerseys by going to NFL’s gallery of the new uniforms by clicking the picture below.